2. Refriegration system: Compressor unit, aluminumtubes and fin evaporator or air cooler, evaporative condenser, refrigeration valves, pipes, parts, etc. 1. What do you use this cold storage for, renting, self-use? 4. What is your three phases electricity supply voltage and frequency? 5. What kind refrigeration system do you prefer, Freon R22/R404a?R507A etc. If you don't know,contact us! ECOOL INTERNATIONAL (SHANGHAI) is a technology and engineering company focusing on refrigeration industry. It specializes in providing cold storage projects, including project plan, design, sales, installation and maintenance；meanwhile, providing high-quality refrigeration equipment, such as multi-head compressor rack, variable frequency screw type compressor rack, air cooler, insulation panel, and refrigeration controlling system. ECOOL has engineers of 15 years’ experience in design, and a construction team with more than 10 years’ experience. It cooperates with many international brands, such as BITZER, DANFOSS, GUNTER and has professional OEM plants of compressor racks, air coolers and insulation panels in China. With accumulated exporting experience, its products are applied in many industries including food processing, medicine, logistics and chemistry. 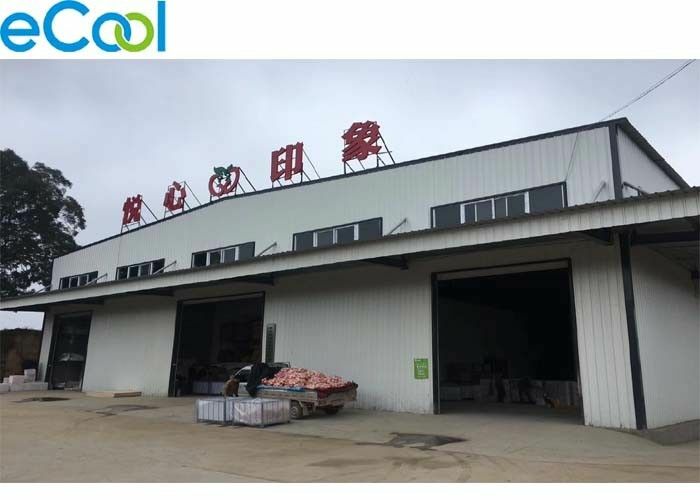 ECOOL built middle and large sized cold storage projects in African countries - Angola, Congo and Gabon, and its products are exported to South America, Middle East and Southeast Asia.